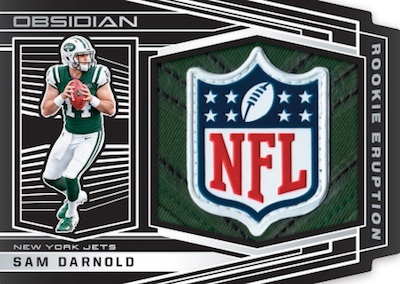 Blog Homepage \ Product Preview \ Product Preview: 2018 Panini Obsidian Football out November! 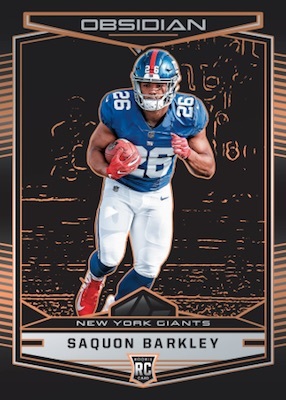 Product Preview: 2018 Panini Obsidian Football out November! With the 2018 NFL season underway we are heading fast and furiously to the heart of the football collecting season. Panini has shared details on their latest product – Obsidian Football – which is set to release November 21st. Taking its name from volcanic glass (Hello Hawaii Pro Bowl!) and utilizing opti-chrome technology to stand out, Obsidian is striking to look at. Every card is also numbered to 100 or less and collectors can look forward to 4 hits per box upon its release this Fall. Let’s take a quick look at what you can find. There are 100 base cards and 100 rookies to start things off, as mentioned previously all numbered to 100 or less. There are, of course, a number of differently colored parallels and scarcity levels: Electric Etch Purple (#/75), Orange (#/50), Green (#/25), Yellow (#/10), Red (#/5), and White Finite (1 of 1). 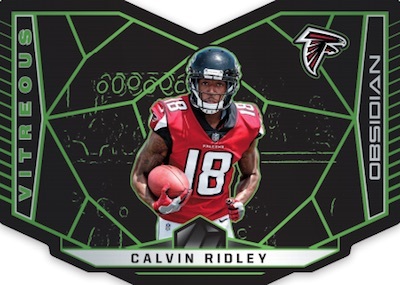 The die-cut Vitreous (#/100) is a case-hit insert centered around 10 of the top 2018 NFL Draft Class Rookies. These offer similar parallels to the base set: Orange (#/50), Green (#/25), Yellow (#/10), Red (#/5), and White Finite (1 of 1). The design of this insert is an absolutely beautiful, eye-catching and we can foresee the demand in chasing these down! Autographs and memorabilia cards average to fall 4 per box. Rookie Jersey Autographs and Rookie Jersey Ink showcase the new draft class with both numbered to 100 with multiple levels of Electric Etch parallels numbered to 50 or less. Current stars and retired legends, can be found in the Aurora and Lighting Strike autographs and are again limited to 100 copies or less for the base, plus the various Electric Etch parallels that are numbered to 25 or less. 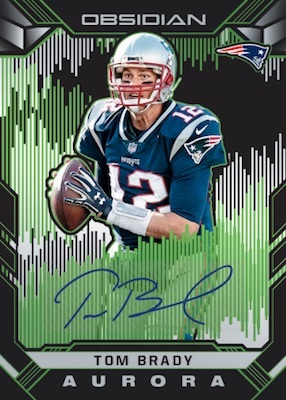 In addition, the Matrix Material Autos line uses a mind-bending design to highlight various superstars. There are also non-autographed memorabilia cards to fill out the hits like the die-cut Galaxy Gear and Rookie Eruption lines. 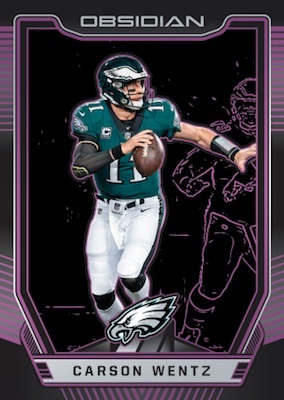 2018 Panini Obsidian Football is shaping up to be a nice mid-level release this Fall. 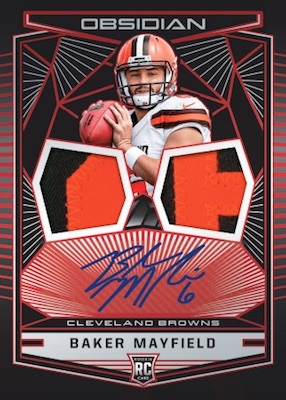 The 4 hits along with the base card and 2 Electric Etch parallels and unique designs and colors should help the cards stand out among the other various football releases this season. Lock in your presell price today – boxes (7 cards per box) and cases (12 boxes per case) are now up for order on our website! Four Autographs or Memorabilia Cards Per Box! 2 Base Electric Etch Parallels or Inserts Per Box! One Base Card Per Box! Find Rookie Jersey Autographs Electric Etch! Look for Rookie Eruption Electric Etch White! 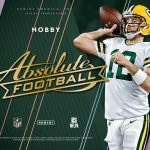 2018 Panini Absolute Football details and release date! 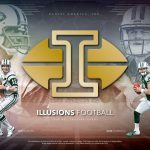 Panini Illusions Football is back for its sophomore season in 2018! 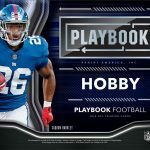 Panini Playbook Football returns to the hobby this December! 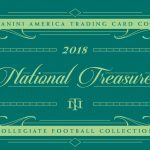 2018 National Treasures Collegiate Football Out August 22nd! 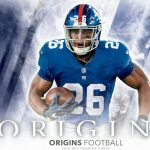 Preseason favorite 2018 Panini Origins Football out August 22nd! 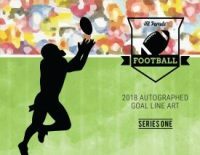 Product Preview: 2018 Hit Parade Football Autographed Goal Line Art releasing September 14th! DACW Live – Pick Your Team Breaks are Here! Hulk Smash! Hit Parade Graded Comic debuts The Incredible Hulk Series One!